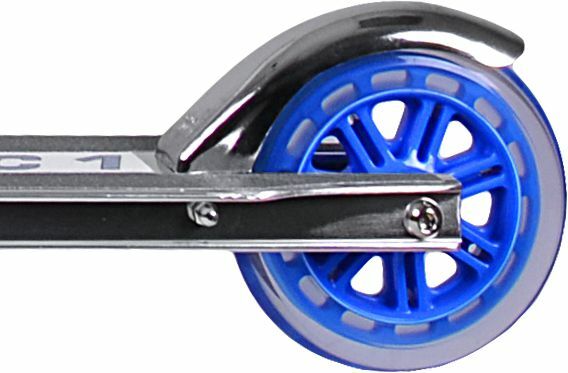 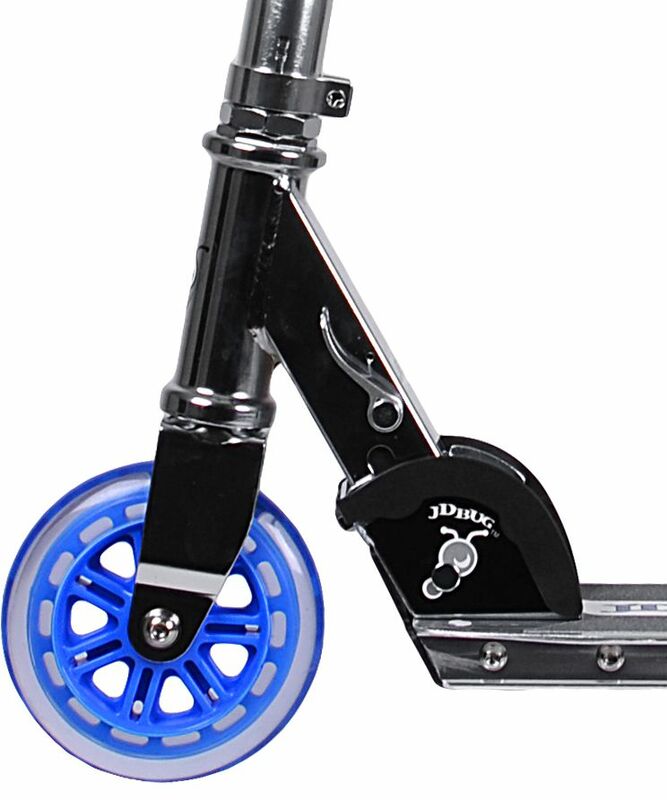 Foldable kids scooter with big wheels for a comfortable ride. 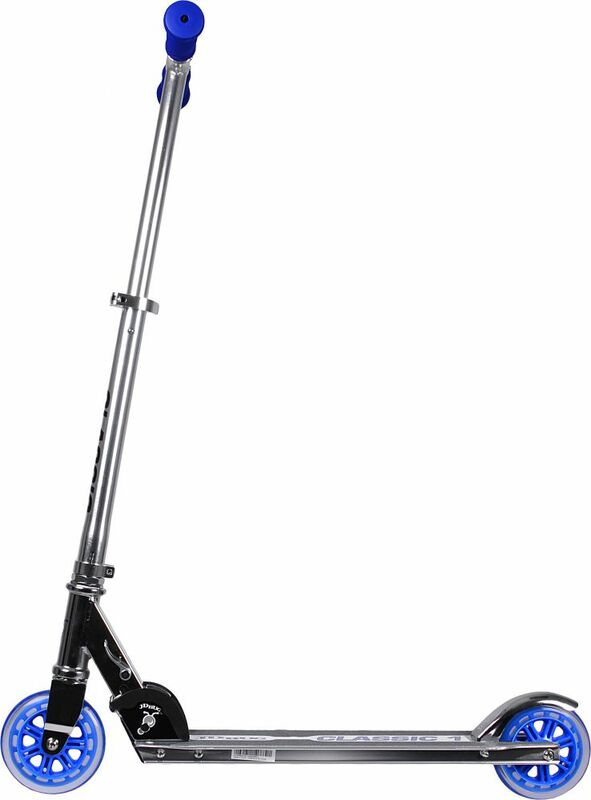 Easy to ride but also easy to fold and take with you. 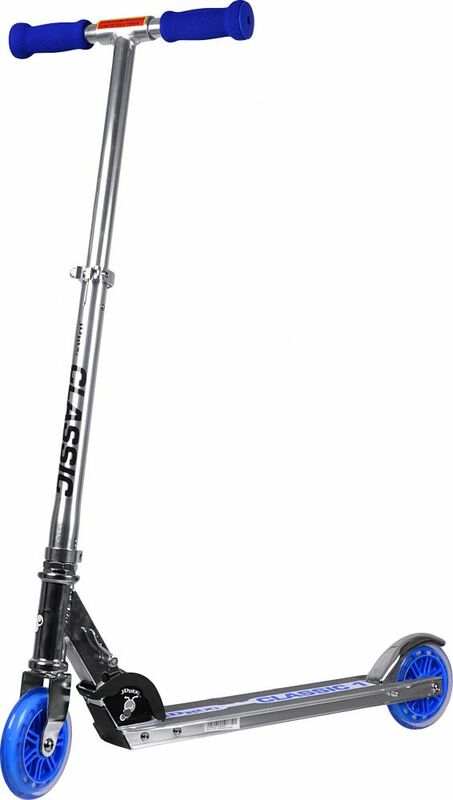 Height adjustable handlebar.